The Clock Tower was built to commemorate Queen Victoria’s Golden Jubilee of 1887. The foundation stone was laid by Sir Arthur Otway on 20 January 1888, the seventieth birthday of James Willing, who gifted the clock tower to the town; it cost £2000. The Mayor of Brighton, Alderman Edward Martin, in his acceptance speech on behalf of the town said, ‘May the contemplation of it (the Clock Tower) fill our hearts with gratitude for the unnumbered mercies we have enjoyed in this benificent reign, and make us exclaim in loyalty and love ‘God Bless The Queen’. James Willing then presented the Mayor with a gold-plated key to the tower. 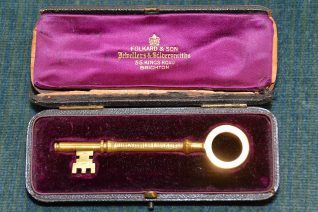 Seventy four years later, in 1962, Alderman Martin’s grandson Reuben Dubois, visited Brighton, bringing with him that very special key. He and his wife Nellie were on a round-the-world trip from their home in Sydney Australia. 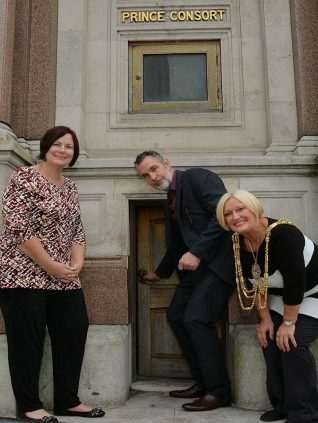 The Mayor of Brighton, Alderman William Button welcomed the couple, and accompanied them to the Clock Tower, where they found that the key still opened the original door. Last week, the Mayor of Brighton and Hove, Councillor Denise Cobb was visited by another of Alderman Martin’s descendants. His great-great grandson, Brett Dubois who was on a trip from Australia, once again brought the Clock Tower key back to Brighton. This important family heirloom has been treasured by his family for one hundred and twenty five years. 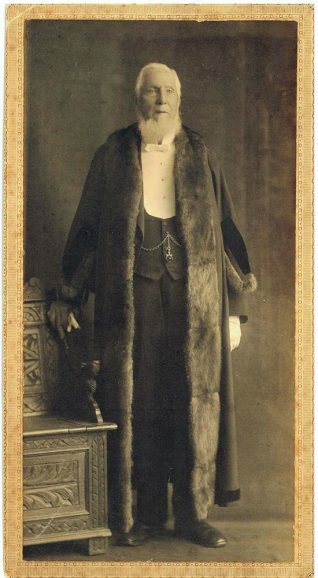 I wonder if another descendant of the Martin family will bring the key back home sometime in the distant future? But did Mr Willing give the key to Alderman Martin as a personal gift, or was it for the people of Brighton, future mayors, and safe keeping at the town hall? I think we should be told! 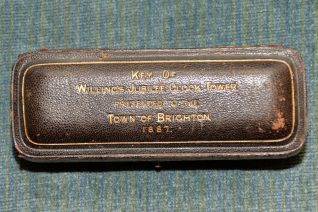 I note the question from Mr Bremner-Morris above which seems a fair question given that the photograph of the case for the key to the clocktower quite clearly state that the key is presented to the Town of Brighton and not an individual. 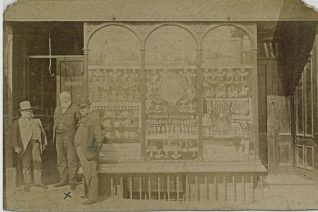 I am interested in the two photos of number 6 Bartholomews because my grandfather had his hairdressers “saloon” at 9 Bartholomews and I remember clearly what it was like inside having been taken there by my dad when I was very young. 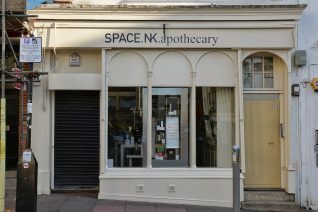 I have never since been able to find a photo of his shop and Bartholomews no longer exists.